Equipped with the ultra-thin design and advanced EMS (Electrical Muscle Stimulator) program, Thanks to Spopad, its amazing training program has completely changed how the people always train the muscle before. The benefit of Spopad is over their imagination, it provides the easier way to strengthen and shape the muscle. In the meanwhile, the effectiveness of muscle self-exercising is so obvious after every 20 minutes training. 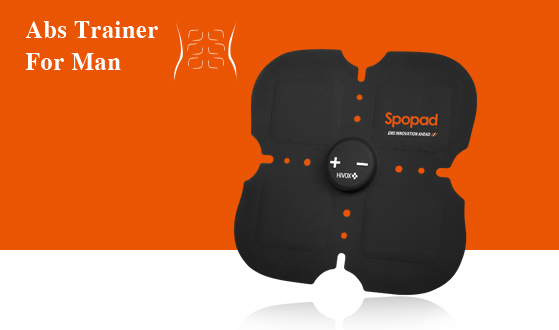 Spopad is patented by one-piece structure EMS device to simplify the process of exercising the muscle. It can be worn to use under clothing with convenient portability in ANYTIME & ANYWHERE. Spopad was developed with specific appearances and targeted to the different groups of muscle by the different programs. In order to reach the best using experience ever, each of models was driven by several unique cycles alternating. It can squeeze out the muscles’ limitation from its training program. Now just applying Spopad on the muscle but doing nothing. This most advanced wearable EMS technology will surprise you tremendously.